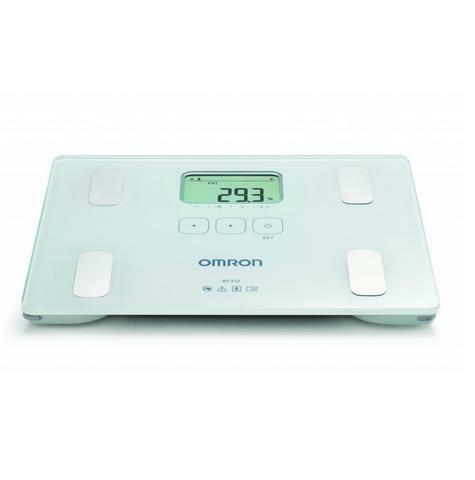 The Omron BF212 body composition monitor offers the most comprehensive tracking system in a safe, sleek design. 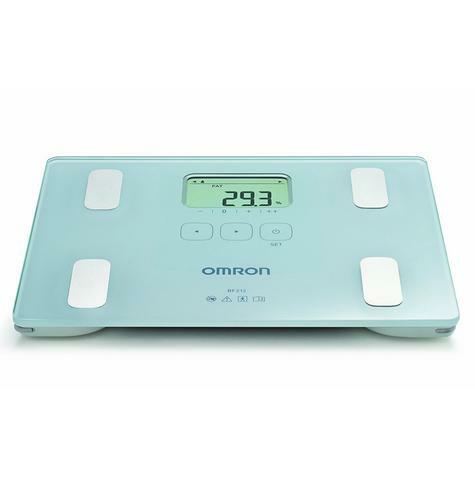 Measuring up to a maximum 150 kg (330 lb / 23 st), this monitor provides detailed information on body mass index, and body fat. Lightweight (1.3 kg) and slimline, the BF214 includes smart design features such as 4-sensor and auto-off technology, and comes packed ready with batteries so you can start tracking straight away. 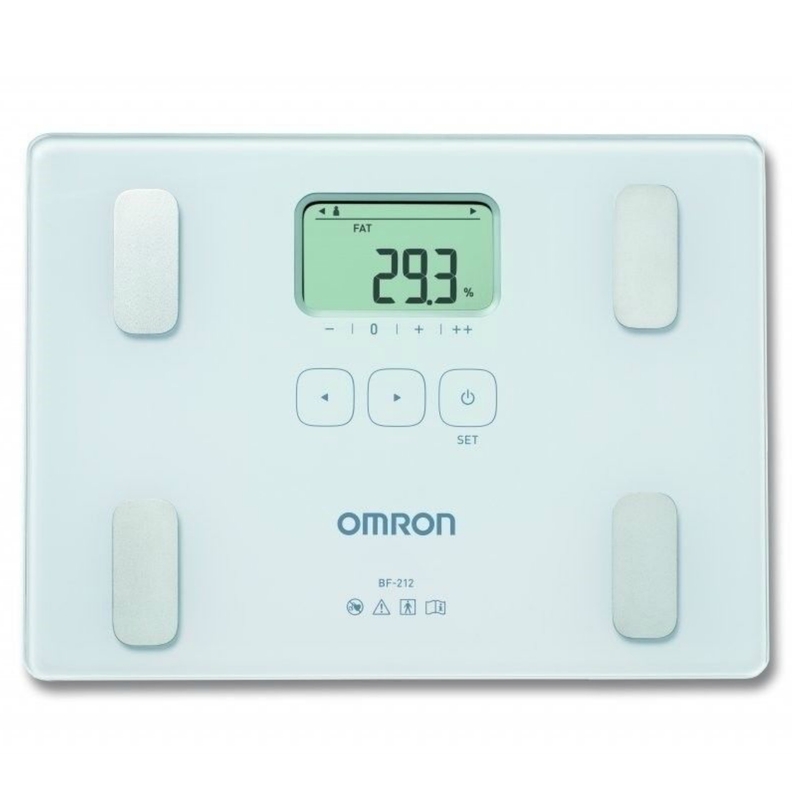 All Omron body composition monitors are reliable and accurate, so you can be reassured when keeping track of your body composition. The BF212 provides a full body analysis to help you to reach your fitness goals. Omron's range of monitoring equipment can give you accurate and painless body weight and fat measurements. 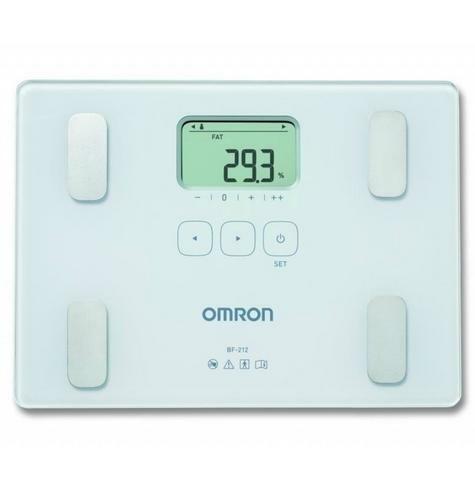 This is more than just a digital bathroom scale; a body composition monitor can help keep you motivated as you track your diet or fitness progress or simply as you make basic changes to your lifestyle in order to eat right and exercise more.